21ology - Business Consultants for the 21st Century. At the core of 21ology we are business consultants with specialized expertise in 21st century technology and marketing techniques. We are experienced entrepreneurs ready to partner with you to ensure your success. We create beautiful websites that look great. 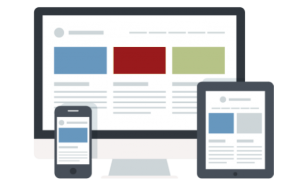 More importantly, we make sure that your content is optimized for any device. As technology shifts towards mobility it is increasingly important that all of your content is geared towards being responsive to any device. For your new website and content to make an impact, it needs to be found. Search Engine Optimization (SEO) is the optimization of your content for the most common search engines to ensure your new content is showing up where it should! With professional videographer and editors on staff we offer professional video services to give you exactly what you need. In the modern technological climate 21ology has noted a shift from images to videos in virtually all digital advertising and design. Branding is one of the most important aspects of any business. We help you develop your brand and help you get it online. What does your branding say about your business, who you are, and why you are different? Let 21ology help you develop your brand. From Logo to merchandising, 21ology can help you with every step. At 21ology we are here to help you every step of the way. We are experienced experts in SEO, Email Marketing, Social Media, Google Adwords, and Facebook Ads. We have the knowledge and experience you need to get your potential clients on your page. Your online presence and reputation is most likely one of your most valuable assets. Are you protecting it? Whether you are facing a crisis, negative reviews, or simply building you presence an online reputation management team is your best option for regaining and maintaining control over your online search results. You should always know exactly what you are going to get for your money. With weekly updates and monthly reports we keep you in the loop and up to date on exactly how your online presence is improving and what we are doing to help. We get to know your business and we get to know you. To understand how best to help your business we need to understand your business and your needs. We want to be your partner. The next step is planning. We develop a detailed blueprint of what we recommend, how exactly we are going to deliver it, and what you can expect throughout the process. Then comes the build stage. After you’ve approved the plan we move forward with putting the plan into motion, piecing together your custom solution according to the blueprint. Quality Control is a crucial step and we don’t take it lightly. Your solution will go through a comprehensive QA/QC process to ensure accuracy and functionality. After we have verified that our build is complete and working as expected we hand you the reigns and analysis begins. We will be staying in touch with weekly updates and monthly reports showing your traffic and results!